The safest warning triangle in the world ! Fast-Charging Warning Triangle, InstantSignTM, provides 2-hour flashing light with a 10-second quick charge. With highly luminous LED light, the InstantSign can be seen effectively from a distance over 100 meters. 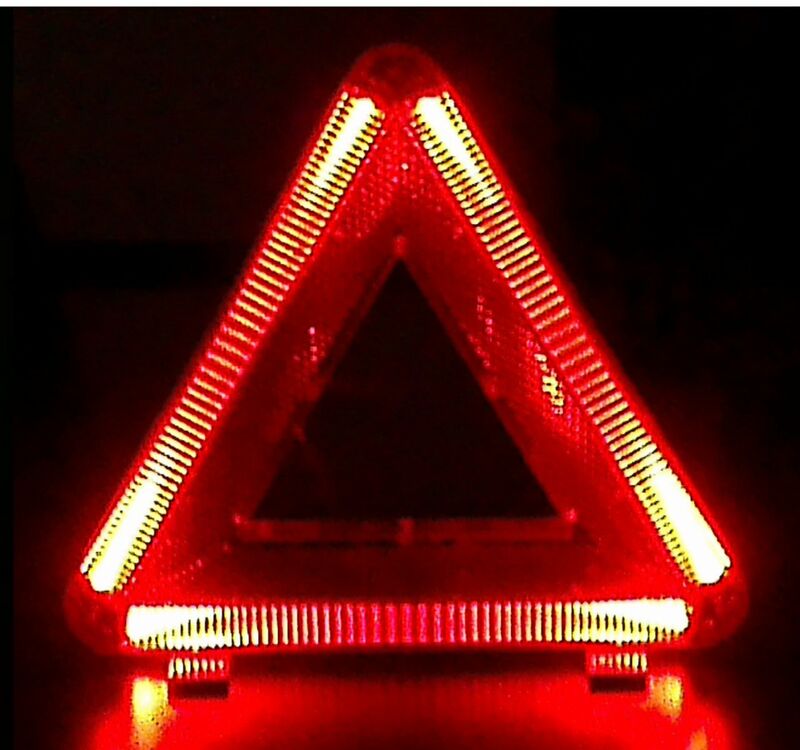 It’s much safer to use flashing warning triangle than the traditional reflective one, especially in rainy and foggy days or dark nights. The LEDs flash at a frequency of 72fpm and will start flashing very rapidly when power is low. It’s an indication to recharge the InstantSign. In addition to its warning light, InstantSign also has reflective surfaces which will reflect the light emitting from the vehicles coming after. 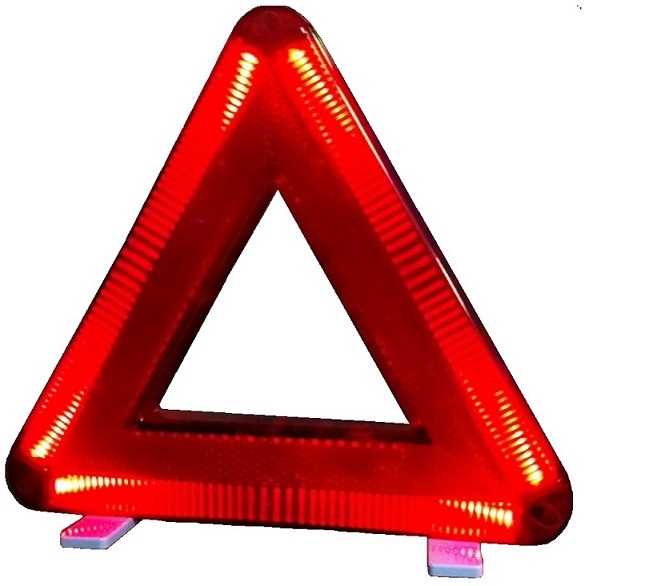 With highly luminous LED light and reflective surfaces, InstantSign is the safest warning triangle in the world. The InstantSign uses no batteries for supplying its power. It leaves the driver trouble-free for there is no need to look for batteries while you are stuck on the highway or country roads with a broken car. The InstantSign gives you all the convenience in getting a warning triangle ready for use in any accident or difficult situation. The InstantSign can protect you and save you when you get stuck on the road. We will charge a 20% restocking fee on any purchase refund. Your order was delivered by international parcel. Please kindly understand that the charge is to cover the transaction fee, shipping cost, inspection, repacking, and inventory management fees, etc. We will process your refund once we receive your parcel.